Stand to win 1 of 3 iPhone 6’s, ideas for pairing your favourite RW wine with the ideal Lancewood Cheese, download a handy Food & Wine pairing chart and discover our range of Natural Sweet wines. 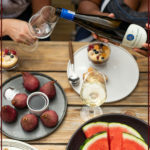 Read about how to win 60 bottles of Robertson Winery Oval Range wines plus a R20 000 wine fridge, elevated pub grub at one of Umhlanga’s most popular restaurant/sports bars, our Constitution Road Chardonnay du Monde Awards, perfect Mother’s Day food and wine pairings and our bumper harvest. Festive Season Bubbly selector, a Masterchef judge’s Christmas feast and our new Lightly Sparkling Pinot Noir! Winning an iPhone 6, all about Wine on the River, Moo-Moo’s Guinness Steak Pie and a vineyard update. 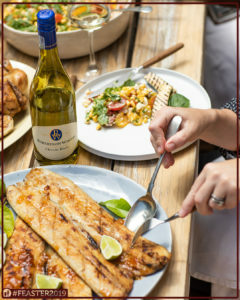 A Special Chardonnay, Secrets of a Steak Guru, an Incredible Harvest & Win a year’s supply of Robertson Winery wine. 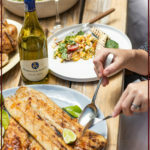 Luxury weekend for two at The Robertson Small Hotel? 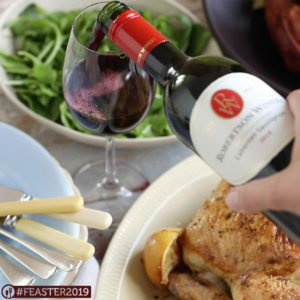 What if it included local return flights to Cape Town, two night’s accommodation, a meal at Reuben’s at The Robertson Small Hotel as well as a Robertson Winery Cellar tour and a chocolate and wine tasting? Excited yet? One lucky person will win R50 000 in the Robertson Winery Natural Sweet Wines (750 ml and 1,5L) SMS competition. See all Robertson Winery Natural Sweet bottles for details. The competition runs until 30 June 2014. Good luck! 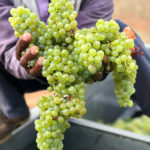 With a Gold and a Double Gold at the Michelangelo Awards, winemaker Jacques Roux gives us the low-down on what makes the 2009 and 2010 Retreat Sauvignon Blanc so special. The “New Star” Sweet Red Sparkling Wine, makes the bubbly collection even sweeter, more fun, more colourful and offers our fans yet another option to the already popular Sweet Rosè, Sweet White and Sparkling Brut. Looking back at 2012 for Robertson Winery, it was all about pushing ourselves and taking all aspects of our company to a whole new level. At the beginning of the year we were blessed with an excellent harvest which yielded high quality grapes. Our 2013 harvest also looks very promising after a long and cold winter together with a higher-than-average rainfall.